An equine diet based solely on hay may be lacking in this essential nutrient. Hay is almost the perfect food for horses---most varieties offer the right balance of protein, fiber, nutrients and energy to keep the average horse healthy. The key word there is “almost.” One nutrient that hay may not provide in sufficient quantity is vitamin E. This essential nutrient is present in fresh pasture but begins to degrade as soon as grass and legume plants are harvested. And the longer the hay is stored before it is consumed, the more of its vitamin E is lost. So for horses whose forage comes primarily from hay, with little or no grazing, vitamin E deficiency is a possibility. And it’s even more likely for horses who are in training with limited turnout because exertion increases the need for this valuable antioxidant. Vitamin E requirements are also higher for aging horses, those who are ill and those with certain health issues. Vitamin E helps keep a horse’s muscles, nerves and all his internal workings functioning smoothly. And if he’s not getting it naturally in a green pasture, then you’ll need to find a way to add it to his diet. Here’s a look at what vitamin E does and what you can do to make sure your horse gets enough---but not too much. “Vitamin E” is a collective name for a group of eight naturally occurring compounds that all have distinctive antioxidant activity. There are four tocopherols and four tocotrienols. Each is designated with an alpha-, beta-, gamma- or delta-. “The most biologically available form is alpha- tocopherol, and this is why we can measure this one in the blood,” says Tania Cubitt, PhD, an equine nutritionist with Performance Horse Nutrition, a consulting firm in Middleburg, Virginia. Vitamin E is fat-soluble, which means it’s handled quite differently by the body compared to water-soluble vitamins, such as vitamin C, which are not stored and are eliminated in urine if too much is consumed. Fat-soluble vitamins can be stored in the liver and the body’s fatty tissues. This means the horse can keep a supply of the nutrient when it is abundant, and access it when it isn’t. And that’s exactly what he does in nature. Vitamin E is abundant in fresh, green grass, but the amounts diminish as grass matures and dies. Horses who spend the winter foraging on dried grasses will draw on their stored vitamin E; then they will replenish their supplies of the nutrient when the green plants start growing in the spring. Vitamin E plays a role in many functions throughout the body, but it is known primarily as a potent antioxidant, meaning it binds with and limits the damage caused by free radicals, which are atoms or molecules with an odd number of electrons. Because they have an unstable electrical charge, free radicals tend to “steal” electrons from other molecules to become stable. But when the original molecule loses its electron, it becomes unstable and in turn tries to steal another electron from somewhere else. All this activity not only damages the molecules that have their electrons stolen, it may inhibit their ability to do their jobs within the body. If there are too many free radicals present in the tissue, this chain reaction can run out of control and injure cell walls, DNA and other vital structures. Free radicals are a natural byproduct of the utilization of fats, carbohydrates and proteins as fuel. They do have beneficial functions; they can help neutralize bacterial or viral threats, for example. But when the number of free radicals in the tissues climbs too high---such as in the muscles after a horse exercises---the body deploys antioxidants to bind with them, breaking the cascade. A shortage of vitamin E might mean more oxidative damage occurs in cells throughout the body, including those in muscles, nerves and immune cells. In the case of a hardworking horse, outward signs of oxidative injury might be muscle soreness and a slower-than-expected recovery from exercise. And so, when a horse’s workload increases, his need for antioxidants, including vitamin E, also goes up. How much vitamin E does a horse need? A horse’s requirements for vitamin E have not been well established. “We have defined these requirements only because we know that horses consuming it at a certain level haven’t had any deficiency symptoms,” Siciliano says. Guidelines in the Nutrient Requirements of Horses from the National Research Council (NRC), last revised in 2007, recommend about 500 IU (international units) daily as a maintenance level for an 1,100-pound horse in light work. Given that vitamin E is stored in fat, it’s not surprising that severely underweight horses may also have deficiencies. “These horses have no fat, so they can’t store it, so we have to feed them more vitamin E than the normal requirement; they need about 1,500 to 2,000 IU per day,” Cubitt says. Horses on pasture would probably be getting adequate amounts of vitamin A, because beta carotene is also abundant in green grass. “If they are in stalls being fed hay, however, receiving too much vitamin E could become a problem,” Cubitt says. Your horse’s turnout schedule and activity level can provide clues to whether he’s taking in enough vitamin E, but a blood test is the best way to determine with some certainty. If your veterinarian suggests that you increase the amount of vitamin E in your horse’s diet, you have several options. Obviously increasing his access to fresh grass will help---assuming this won’t put him at risk of laminitis or obesity. Grass contains somewhere between 30 to 100 IU of vitamin E per kilogram of dry matter. You may also want to see if you can get hay that has been cut earlier---grasses cut for hay while young and growing will have higher levels of vitamin E. Exactly how much of the vitamin hay loses, and how quickly, depends on several factors, including the conditions of harvest and the amount of sunlight it is exposed to when drying (sunlight denatures all vitamins). One study found that fresh alfalfa hay lost as much as 73 percent of its vitamin E after just 12 weeks in storage. In addition, some grains, such as corn, oats or barley, contain some naturally occurring vitamin E but only about 20 to 30 IU per kilogram of dry matter. Grains also lose some of their vitamin E over time in storage; dry, dark storage is best for all feedstuffs. To avoid uncertainty and ensure that their horses receive what they need, many owners opt for supplements, balancer rations and commercial feeds formulated to provide the nutrients required by average horses or those at specific life stages or activity levels. “Most commercial feed products are fortified with vitamins and minerals,” says Williams. “They usually provide about 100 to 150 IU of vitamin E per pound. So if a horse is eating two or three pounds of grain daily, this will be adequate if at maintenance or light work.” Vitamin E is included in a wide range of supplements, both as the primary ingredient and as an addition to products for joint health, digestive support and other formulas. However, if the goal is for a level of 5,000 IU per day, make sure you are feeding a sole concentrated source of vitamin E. Otherwise there is a risk of over- supplementing the other nutrients in the product to get to that level of E.
When it comes to keeping a horse healthy, often the best approach is the “natural” way---mimicking as closely as possible the way he would live in the wild---despite stalls, trailers and training schedules. When it comes to an essential nutrient like vitamin E, that means letting him graze as much pasture as possible during the warmer months. But when that’s not feasible, taking steps to make sure your horse gets enough of this essential nutrient will help to keep him healthy. Vitamin E can be provided to horses in both natural and synthetic forms. There are differences in how the horse’s body absorbs the two forms. “Specific transport proteins in the liver seem to bind better to the natural form, allowing it to be transported to other tissues,” says Cubitt. “Synthetic forms are excreted faster than the natural form, and they don’t have as much time to get into the tissues where they are needed.” In other words, the horse has to consume more of the synthetic form to achieve the same levels in the bloodstream as the natural form. With either form, absorption can be improved by adding fat to a horse’s ration. The fats bind with the vitamin E and help to carry it across the intestinal wall and into the bloodstream. Researchers have also explored other methods to improve the absorption. Some products contain “micellized vitamin E,” which means it has been chemically changed to improve absorption. Another approach is called nanodispersion, which separates the vitamin E into tiny droplets that disperse across a wider range of intestinal wall. Both of these methods have been shown to aid absorption. - Equine motor neuron disease (EMND) is caused by the degeneration of the motor neurons, which control the movement of the large muscles. “This affects the motor neurons and therefore the skeletal muscles,” says Paul Siciliano, PhD, of North Carolina State University. “In a horse with this problem, you’ll see great appetite—eating very well—but these horses waste away, losing muscle mass, and may die without intervention. - Equine degenerative myeloencephalopathy (EDM) is caused by damage to the nerves in the spinal cord and parts of the brain. It typically develops in younger horses, those who are less than 2 years old, and it causes ataxia (incoordination) and loss of proprioception (the sense of where their body and limbs are located). EDM seems to run in families, which suggests that the cause is genetic. However, the disease is also characterized by low levels of vitamin E, and supplementing with this nutrient helps horses improve. While low levels of vitamin E do not appear to be a direct cause of EDM, it’s possible that a vitamin deficiency could produce the signs in a horse who is also genetically predisposed to the disease. - White muscle disease, a degeneration of the skeletal muscles, is caused by a deficiency of selenium, another potent antioxidant. But low levels of vitamin E also seem to play a role in the disease. “Selenium and vitamin E are both important for muscle function and work as antioxidants, but with slightly different jobs,” Siciliano says. Higher levels of one nutrient can help compensate for lower levels of the other, and signs of deficiency are more likely to occur in horses with low levels of both. 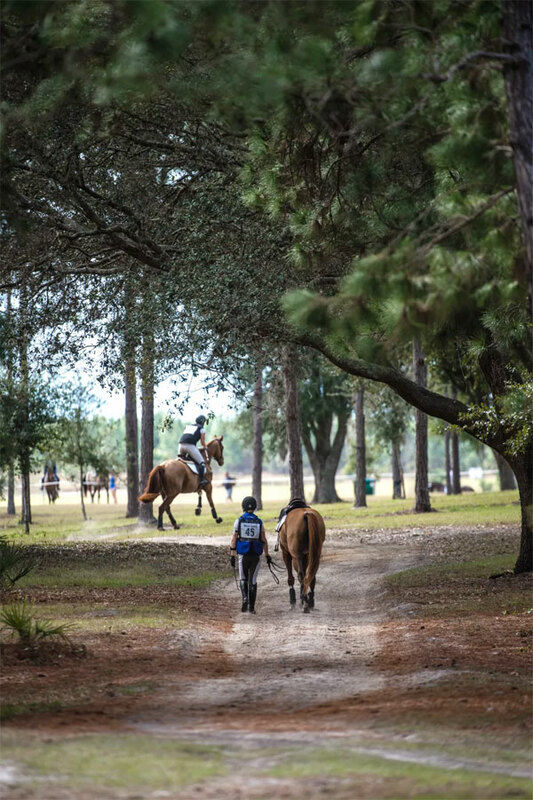 Why your horse needs vitamin E - Three Runs Plantation Equestrian Blog. Re-published article from EQUUS Magazine. We’ve all been there, dejectedly sitting in the bleachers after yet another disastrous round as the star du jour rides by, using invisible aids while sitting motionless in the saddle. “Why is this so HARD?” you ask yourself. The bad news is that riding well is hard to learn. The good news is that every good rider, at one time or another, has been right there with you in the bleachers. The important thing to know is that you can be a better rider—you just have to decide to get better. First of all, riding well is hard to learn because it is not all about you—your horse is part of it, and probably the main part. If you want to learn how to ride well, you need to understand horses—how they think, how they react to certain situations and how they move underneath you. I say, “learn,” but it’s not like memorizing the multiplication tables from 1 through 12. When it comes to horses, your learning curve will trend upward for as long as you live—that’s the fun part. And while we are busy having fun, I thought I would pass along some of the things I learned the hard way so that you don’t have to repeat my mistakes. One of the hardest things to learn, especially for redheaded boys (like I was), is that horses don’t wake up in the morning and decide to ruin your day. Horse logic is not always the same as rider logic. As a prey animal, horses are always alert for danger and easily—squirrel!!—distracted. Once you look at the world from their point of view, you can understand why they react the way they do and teach them that you are there to keep them safe. Once you understand this and learn to think like a horse, it changes your actions when your horse reacts violently to things. If you punish your horse for spooking at a sun spot in an indoor arena, you confirm in his mind that sun spots are something to be afraid of. If you allow him time to look at it in a nonconfrontational way, he will decide that he was wasting his time spooking at it and be willing to accept sun spots as part of his environment. Being quadrupeds, horses have certain gaits and produce certain sensations when we are (however precariously) trying to remain attached to them. Most of the horses we ride have four gaits with four distinct rhythms: the walk with four beats, the trot with two beats, the canter with three beats and the gallop, a fast canter, with four beats. My point in this is that your horse takes different actions with his body to produce each of his gaits and his actions will change how you perceive his motions and how your body needs to react in order to look as if you’re sitting motionlessly. Here is one of my favorite examples of this: When your horse trots, his shoulders remain level but his hips move up and down and he swings one hind leg under his body while the other hind leg pushes back to propel his body forward. Ever wonder why sitting the trot smoothly is more difficult to learn than sitting the walk or the canter? This is why: At the walk and the canter, your seat moves back and forth in rhythm with your horse, but at the sitting trot your hips must move alternately up and down in order to follow your horse’s motion correctly. If you understand your horse and his movement better, then the actions you must take with your body to stay with his motion become more understandable. Improved understanding will lead to better riding. Once you can follow your horse’s movement correctly, you can apply your aids with much more precision. BUT, once again, before you start to apply aids, you need to understand what you are trying to achieve with those aids. Basically, you use your aids to put your horse’s forces at your disposal—to enable you to move faster than you can run on your own, to jump higher than you can jump and to eventually feel that, in general, the law of gravity no longer applies to you. Like anything else worthwhile, this does not happen easily, nor should it. Beverly Sills, the legendary opera diva, said, “There are no shortcuts to any place worth going.” I wouldn’t have it any other way. As you continue to progress along your learning curve, you will discover that much of riding is counterintuitive. By now, you probably understand that for your horse to strengthen and improve his dressage work, he needs to lower his head slightly, relax the muscles of his back and become stronger and more energetic with his hind legs. However, you are doomed to failure until you also understand this simple rule: You don’t pull your horse’s head down. You push it down. Once you understand this rule, you have been handed the keys to the kingdom of the horse. The first time you feel your horse step from your inside leg to your outside rein is a supremely important moment in your development as a horseman. Your first experience of this response will usually be at the trot on a circle. Make the circle about 10 meters in diameter. Now increase the size of the circle by closing your inside leg and pushing your horse toward your outside hand. Instead of speeding up, your horse accepts your leg, responds by stepping farther under his body with his inside leg and seeks a connection with your outside hand. In simplistic terms, you now have your horse balanced between the accelerator and the brake. From this point on, you know how to ride from your leg to your hand rather than the other way around. At first intermittently, then consistently and finally, generously, your horse will put his strength at your disposal. Learning to ride well over obstacles is equally as hard as learning to ride well on the flat. Just as with dressage, I have one very simple rule for you. To illustrate it, during my lessons and clinics and after a few warm-up jumps, I ask riders, especially young teenagers or older riders who are so terrified that they have regressed, the following question: “How many jumps have you jumped today?” The responses will vary widely in numbers and accuracy. Once students have expressed their opinion, I will say, “No, you haven’t jumped any.” You see, that’s my rule—“Your horse does the jumping!” You are just along for the ride. Most horses like to jump, especially if they are unencumbered by the rider’s hands. If a horse truly does not like to jump, there are other jobs he can do, and it is up to us to steer him down the correct career path. Once we have a horse who likes to jump, we need to stay attached to his motion and ride him in a rhythm. My reasoning is this: It is difficult to ride well—and for him to jump well—if we are continually either left behind the jumping motion or topple forward on landing. Time spent in perfecting your position is never wasted. I have written numerous books and articles on the correct jumping position and you can find a list of some at the end of this article, but my short version is to adjust your stirrups so that you have approximately a 90-degree angle behind your knee when seated. Over small obstacles, your jumping position is the same as the top of your posting trot. Your stirrup leather should form a vertical line and there should be a straight line between your elbow and your horse’s mouth. Remember to follow your horse’s mouth with your elbows, not by closing your hip angle. Once your position is secure and independent, then ride your horse in a rhythm before, over and after the jump. To help keep the rhythm in the approach, count out loud until your horse leaves the ground. You can tell yourself you had a good jump when you have approached, jumped, landed and departed in the same rhythm. Your rhythm is important because when we hear the rhythm, we hear the balance. When your horse is balanced, he jumps to the best of his ability.